Super Kid is an attempt to identify exceptionally intelligent, innovatively clever and talented students at a young age. Talent search and reward is the theme of our Super Kid competition venture. 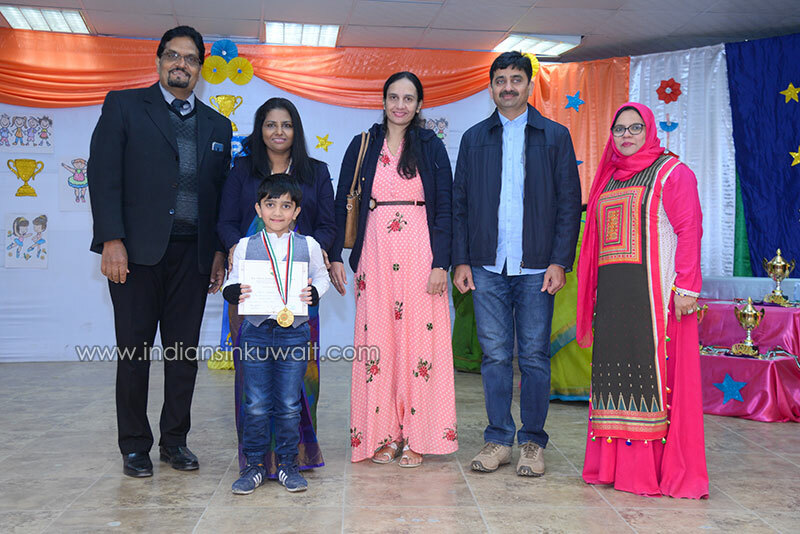 L.K.G and U.K.G children had various Super Kid competitions from 10th January 2019 to 14th January 2019. Competitions such as draw and colour, identify and write, obstacle race, elocution and super dancer were conducted. A total of 596 students participated and 48 students were selected as winners. The toppers from each section were adorned with crown, sash and certificate. 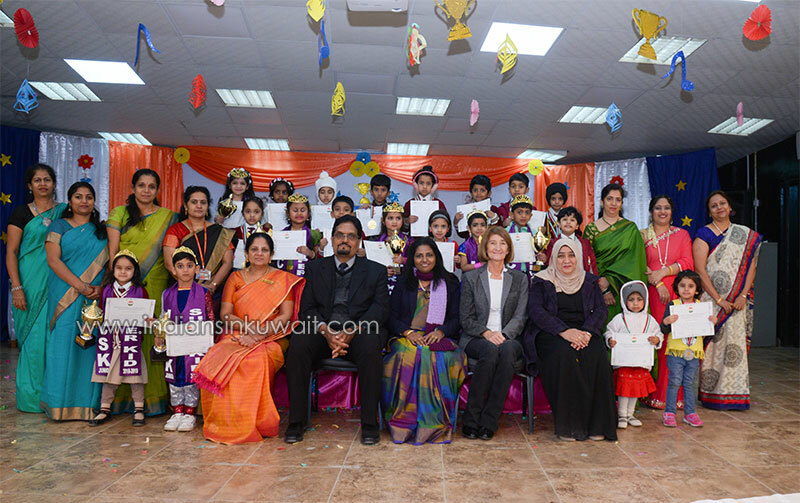 The first runner up and second runner up in each class were awarded medals and certificates. 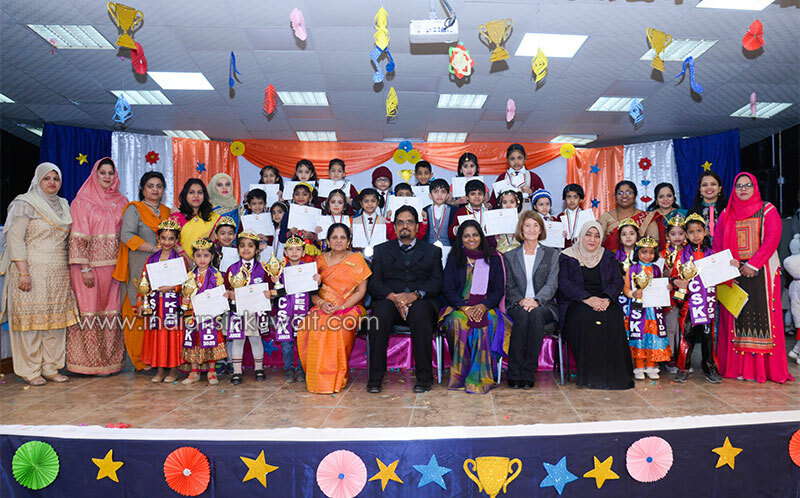 The Super Kid Award ceremony was held on Tuesday, 22nd January 2019 in the school premises. The Chief Guest for the function, Mr Sunil Menon, CEO-Al Qabandi United Company, presided over the award ceremony. The function commenced with the recitation of the verses from the Holy Quran followed by a meaningful thought for the day. To invoke the blessings of the Almighty lord, lighting of the ceremonial lamp, an integral part of ICSK events was held. Chief Guest, Mr. Sunil Menon emphasized the importance of encouraging children to participate in various competitions and showcase their talents. Principal, Mrs Sherly Dennis welcomed the gathering expressing gratitude to the parents for encouraging their children to participate in all school related activities with enthusiasm. She also complimented the whole hearted support and hard work of teachers and staff in conducting the event. A hearty vote of thanks delivered by our Vice Principal Mrs Sheeja was followed by handing over the memento, a token of appreciation to the Chief Guest, Mr Sunil Menon. A photograph session was arranged for the winners along with the Chief Guest, Principal, Vice Principal and teachers. The students were accompanied by the class teachers after the singing of the Indian National Anthem to their class rooms.